With World Cucumber Day right around the corner on 14th June, I was so excited to get my responses back from Dr. Brown! Below you can see his fabulous answers to all the cucumber related queries that ever crossed my mind. 1. I know that you are a scientist, Dr. Brown. Which field of science are you in? Aka, what did you study at university? 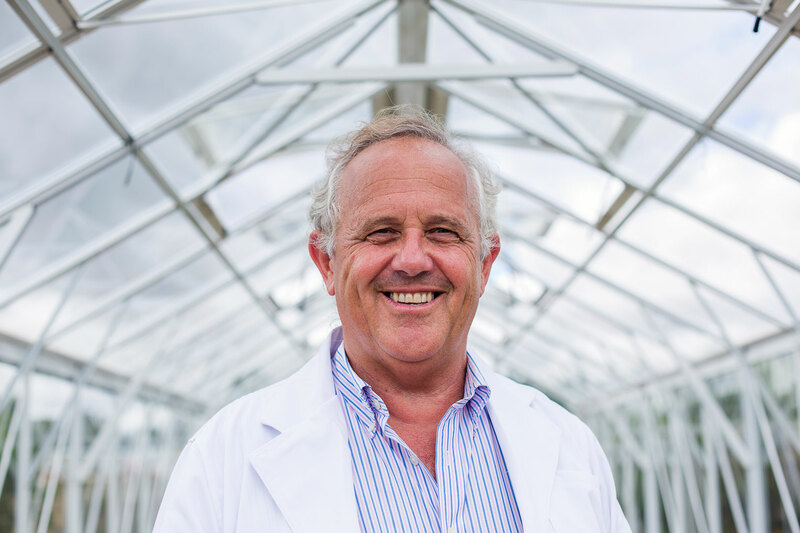 I am currently a research associate at the University of Sydney in the Plant Breeding Institute and have been there for over 30 years. 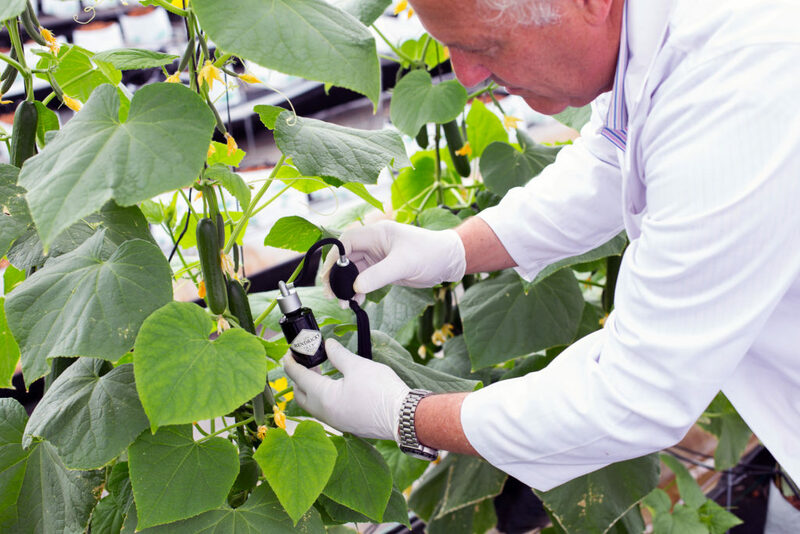 It’s no wonder my research laboratory is packed with every scientific contraption available to measure the reaction of cucumbers to the outside world! 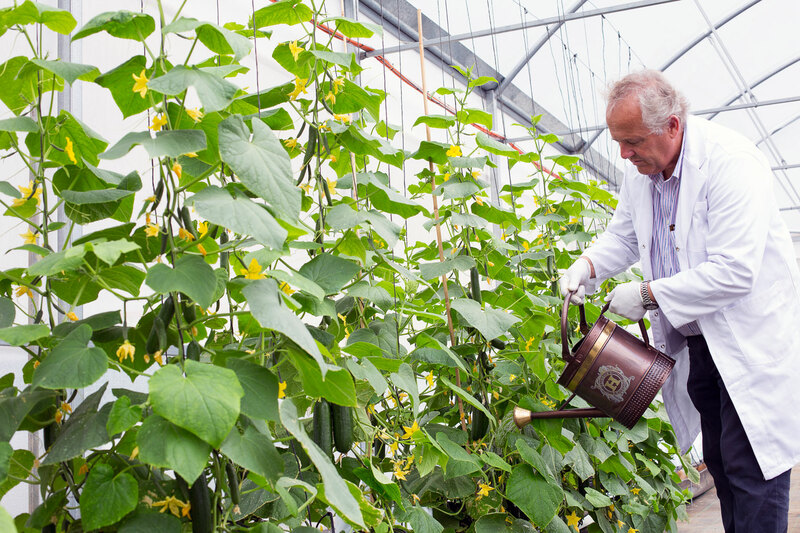 At university I studied Plant Biology and Genetics and even went onto study ecology – so you can say I have always been fascinated with cucumbers. I even began breeding cucumbers 10 years ago. 2. Were you shocked at all, when your cucumber music experiment figured out that cucumbers hate Jazz but love Rock ‘n Roll? 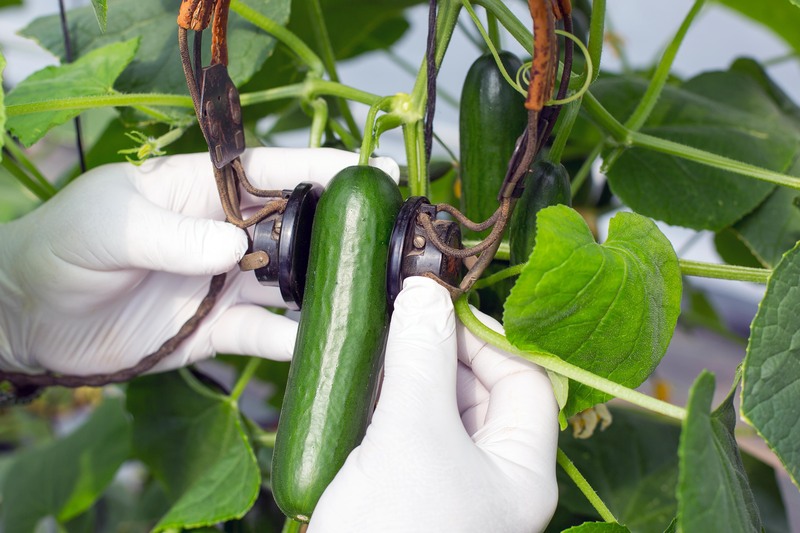 When Hendrick’s Gin first approached me to conduct this experiment, I wasn’t sure which kind of music would affect the growth of the cucumbers. We know that cucumbers respond to outside stimuli but this was the first time we put different genres of music to the test. The rock music I chose included various head banging tracks from an Australian band famous for loud guitar and abrasive vocals. 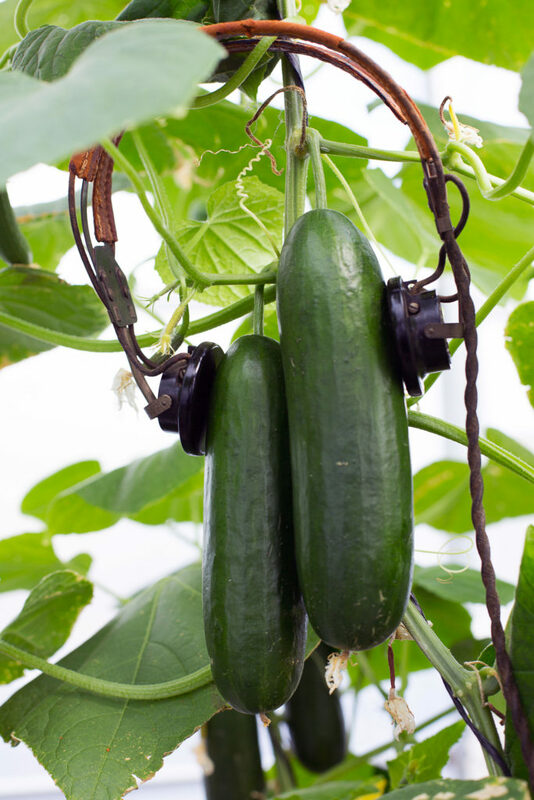 Cucumbers that ‘listened’ to this music during the test produced measurably larger, better- tasting fruits, while those listening to jazz produced malformed fruits with curved and pointed edges. It just shows how sensitive and responsive the cucumber fruitis. 3. We now know that cucumbers don’t like certain scents. Thankfully I don’t wear dill-scented perfume, but can other scents in a house-hold effect the plant. Such as food being cooked, or maybe the scent of perfume or deodorant? Or does the scent need to be spritzed onto the plant for it to be effected? Cucumbers are very sensitive and will absorb household smells easily from the air they breathe. 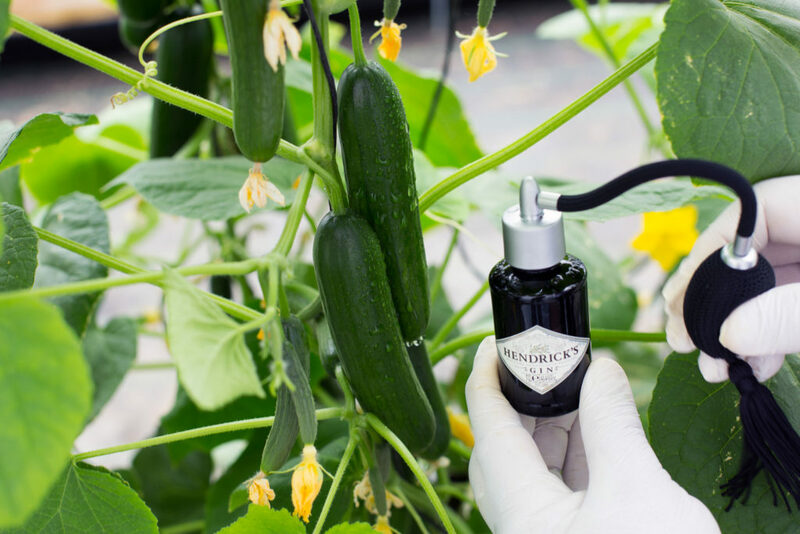 We found that spritzing scents directly onto the cucumber did effect the taste, so I would advise you definitely avoid growing a cucumber in a heavily scented environment such as a kitchen or bathroom. Another tip is to make sure the cucumber has not been mingling with onion, fish and freshly worn loafers as this will affect the taste. 4. Thanks to your research we also know that the cucumbers benefit from mini-sleeping bags. I don’t know where to find a cucumber sleeping bag so small. What do you suggest that I can use instead that may be lying around the house? 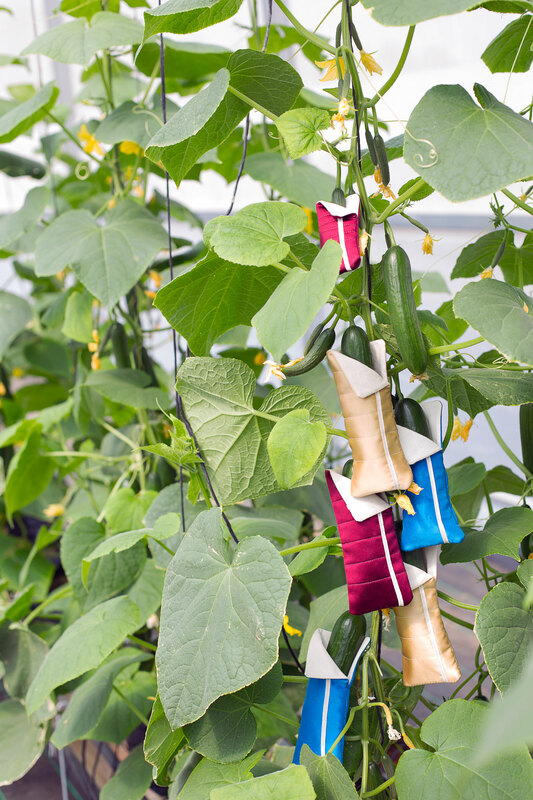 Hendrick’s Gin made custom made sleeping bags specifically for the experiment, but you can use a pair of warm, cosy socks – they make great sleeping bags as they come in various sizes. SERIOUSLY, is this not the most noonoo thing EVER?! 5. You have developed several varieties of cucumbers in your years. My favourite being the “cutecumber“. 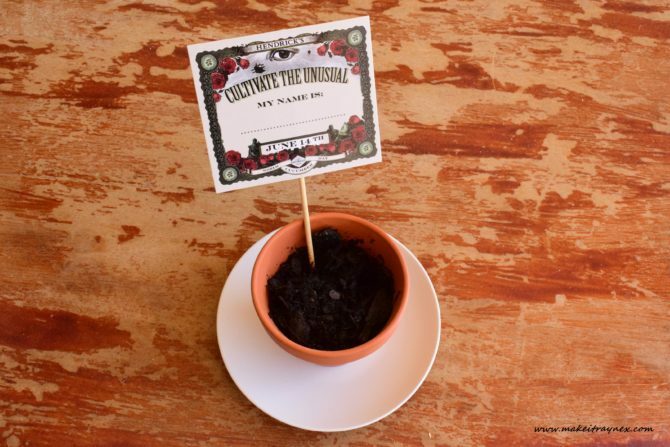 Which has been your favourite one to cultivate? 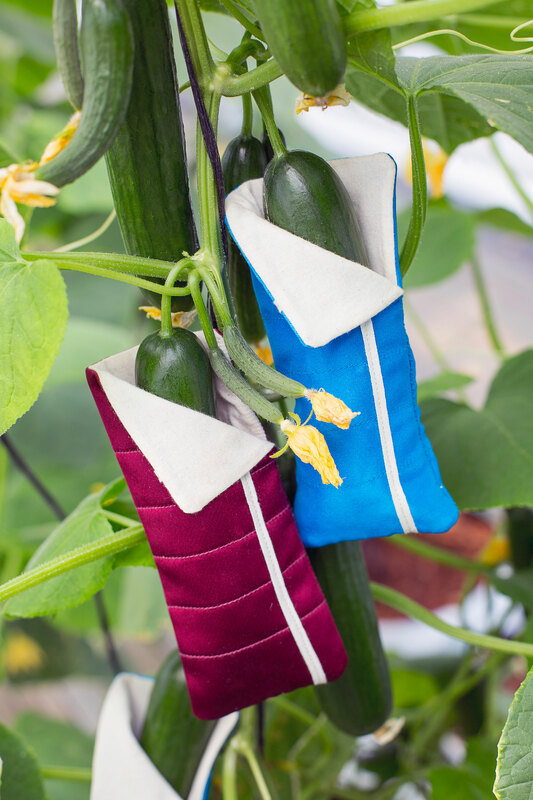 Yes, during my time working with cucumbers I have helped developed several specialist cucumbers, including a 4-inch cucumber affectionately termed the ‘cutecumber’. This is also my favourite as its sweet, crunchy and snack size – it was a real career highlight for me. I have also created the Australian Cucumber, which was nurtured on emu dung, Simpson desert soil, and the calcium of yabby shells. I am always looking for wonderful ways to grow new varieties of cucumber. 6. You suggested – in your tips page – to dress our cucumber up as a courgette as a practical joke. Now my cucumber – his name is Columbus the Cucumbus – thinks he is a hybrid of a cucumber and a courgette and refers to himself as a courumber. How can I get him to get rid of his alternate personality. I’d like him to go back to being the cucumber that I have grown to know and love? Interesting dilemma, since cucumbers and courgettes are closely related botanically. I would follow the Hendrick’s bonding tips, such as planning a quiet night in. Hopefully this will coax him back to feeling like a cucumber and to go back to Columbus, the green fruit you know and love. 7. We know what you do in a professional aspect. What do you do in your spare time? Does cultivating cucumbers still count as a fun hobby? Yes, cultivating a cucumber is the very best hobby someone can have! However, when I’m not growing cucumbers at work, in my spare time you will find me in the garden or surfing and trying to catch those waves. I am Australian after all! 8. What inspires you in your day to day life? My wife and I ‘design’ and grow tens of thousands of plants each year. With this in mind, my wife inspires me with her energy for life each and every day – it’s great to wander through our garden as the plants grow week by week to flower or fruit, revealing what has been created from a seed and an idea. 9. Are there any funny/annoying/interesting questions you get when you tell people what your job is? As a cucumber expert, I do get asked a lot of weird and wonderful questions. Everyone thinks my job title is mad, but Hendrick’s seemed as excited and passionate about cucumbers as I am! People always wonder how I became fascinated with the cucumber. I’d say that because it’s a really interesting, wonderful fruit and I couldn’t wait to explore it further. However, before breeding vegetables, I bred wheat for a long time which is not as high in most people’s conversational interest. If my wife was having trouble going to sleep she would ask me to talk about my work breeding wheat – it was sure to send her straight off! 10. Do you ever purchase and eat cucumbers from the grocery store? Or is this a cardinal sin? I still buy them when we are between seasons and they are generally pretty good. However, freshly picked cucumbers will always taste better so I would always recommend you grow them at home when possible. 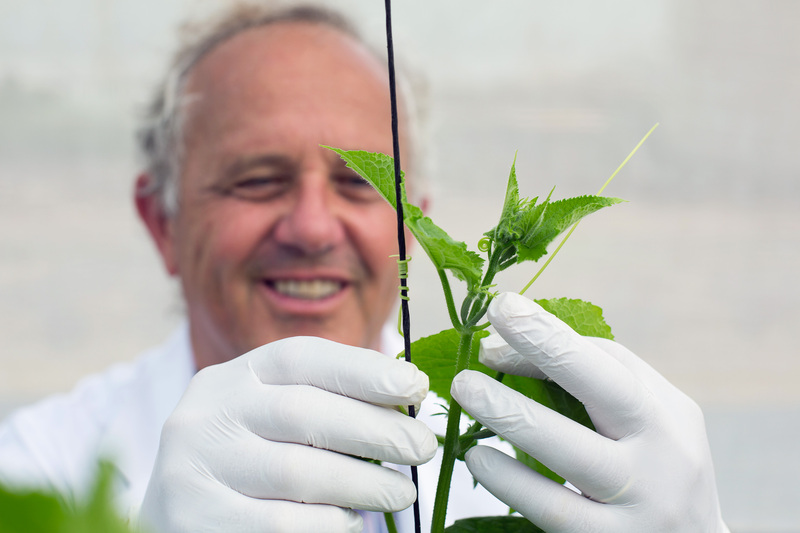 Now is the perfect time for budding botanists to try their hand at growing their own cucumber – put my experiments to the test! And there you have it! A HUGE thank you to Dr. Brown and the Hendrick’s Gin for a decidedly unusual campaign. It has definitely been the most eye opening campaign for me. Who knew these green little (or large) blighters could be so very interesting. But we all know, nobody does unusual as well as Hendrick’s Gin! Furthermore, you can check out my previous posts here and hereIf you are interested in seeing how I am faring with growing my cucumber. I cannot wait to see (and taste) the end result! Now excuse me while I go pour myself a gin and tonic..